In my opinion, Slovenia is one of the most underrated countries in Europe. You tell most people you’re going to Slovenia and they have no clue where it is, and no idea what it has to offer. 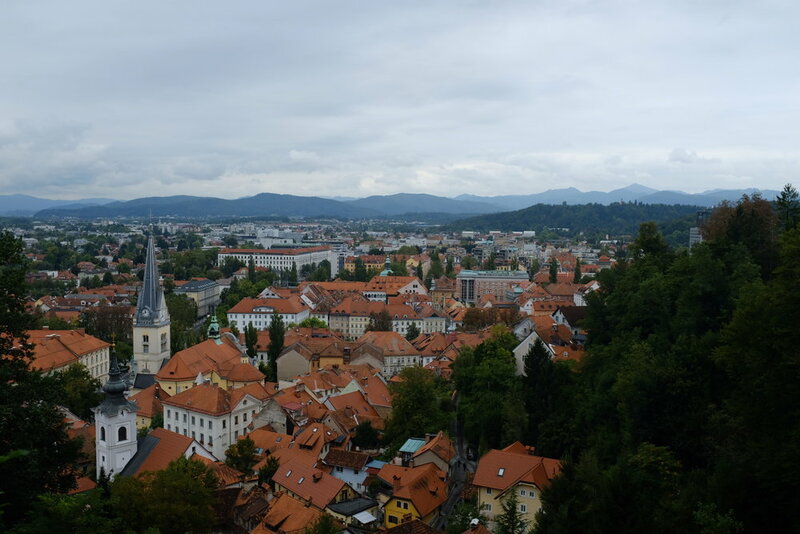 They seem to have a well run tourism board, so perhaps it’s a popular destination with Europeans or others from around the world, but I know very few Americans who have been to or even considered Slovenia as a vacation destination. I too was one of those people. About 5 years ago when I was traveling through Europe with a good friend we decided to go to Ljubljana to meet a couple we had become friends with in Italy. It was pouring rain as the train pulled up to the somewhat defunct station, and we really considered just skipping the town and continuing along on the train - wherever it may have been headed. Was it really worth our time to stop? Indeed it was and I’m so grateful we convinced ourselves to hop off. Ljubjiana is one of the most clean and organized towns I’ve ever been to, and if you know me you understand my draw towards order. No trash on the streets, and one of the few towns that had recycling during our 3+ months in Europe, the flowers lining the river were all perfectly tended to. There is a running path that surrounds the city, allowing you to put in miles without any traffic, roads or distraction. There are festivals, food markets, and live music spattering the city. It’s clear a lot of thought has gone into planning the city. 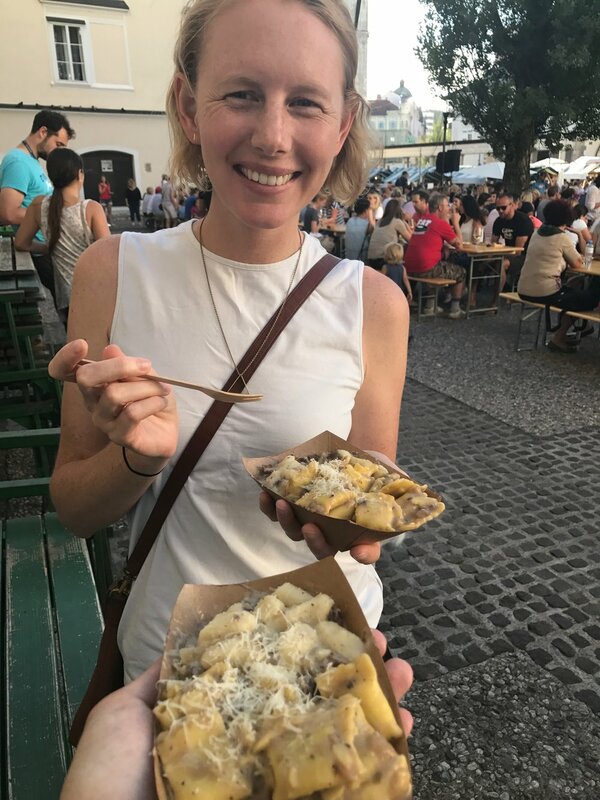 And, this wasn’t unique to Ljubljana - the entire country seemed spotless, the people are kind and welcoming and they have a bit of everything. Hiking or skiing the Alps, caves, rivers, or rocky cliffs and beaches along the Adriatic. One of the best parts is all of this diverse scenery is located in a relatively tiny country - allowing you to hike in the alps and then jump in the Adriatic within a matter of hours. During our travels, we’ve found that we tend to enjoy the places we find livable the most. Yes, we also love the exotic beaches in Thailand and the hectic streets of Saigon, but we are learning we are creatures of habit and like a few basic comforts. And, when we are in a city that we could see building a network and living for a while, we are very happy. 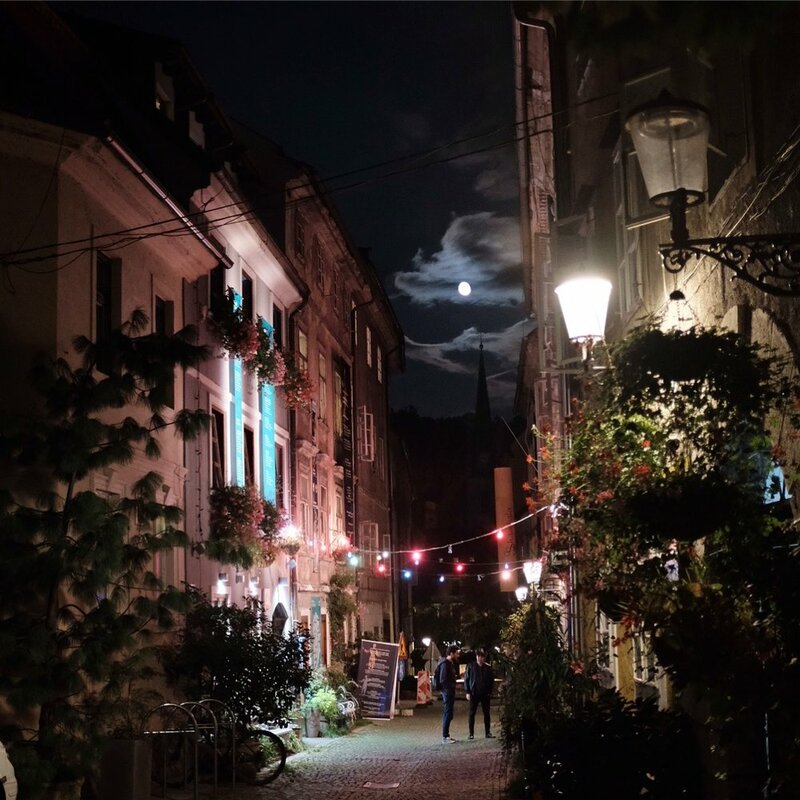 Ljubljana was one of these spots. The old part of town is extremely pedestrian friendly, the river is lined on both sides by boutiques, local restaurants and cafes. There always seems to be some free live music, and the farmers markets and street food festivals are plentiful. 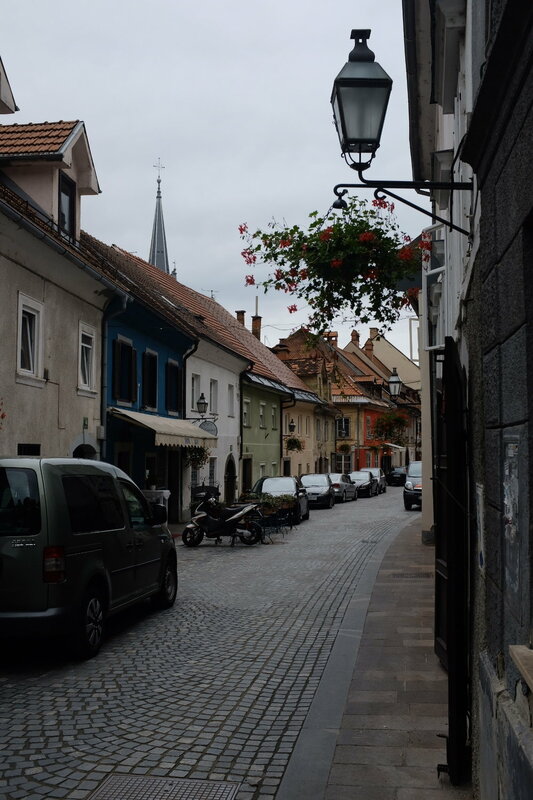 As with nearly all of our destinations in Europe, our time in Ljubljana was too brief. We stopped in overnight to pick up a car for our month long road trip in the Balkans, and then spent another night when returning the car. Our friends still live here, and now have a beautiful 3 year old son. 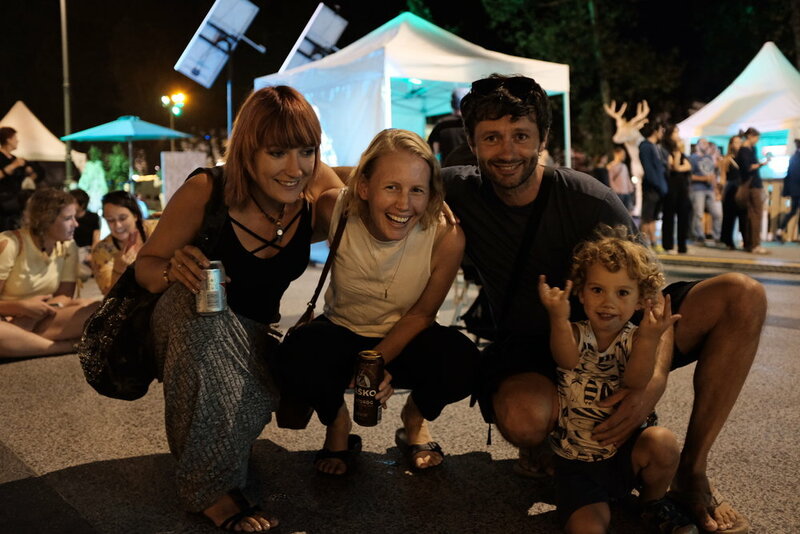 We met them in the center of town at Open Kitchen for some local food and craft beer and then headed to one of the many free music festivals that was happening that weekend. 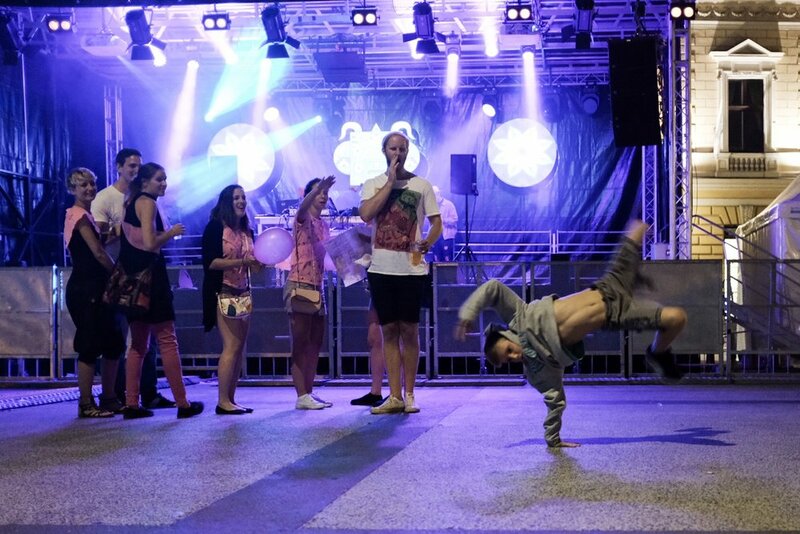 We plopped down in the middle of the square and watched their son and a few other local kids dance the night away to electronic beats. Because we were only in the city for 2 nights, I don’t have a ton of suggestions aside from simply: go and check it out if you can. If you happen to be there on a Friday go to Open Kitchen, a street food market that is open every Friday from March - October featuring dishes from around the globe prepared by local chefs from around the country.